There’s something intimidating about meeting an elephant. It’s not just about her size, even though she could easily crush you under her feet if she wanted to. It’s mostly because of their confidence. They look so calm, patient, and self-contained, that approaching these magnificent animals you can’t help but show some reverence and respect. 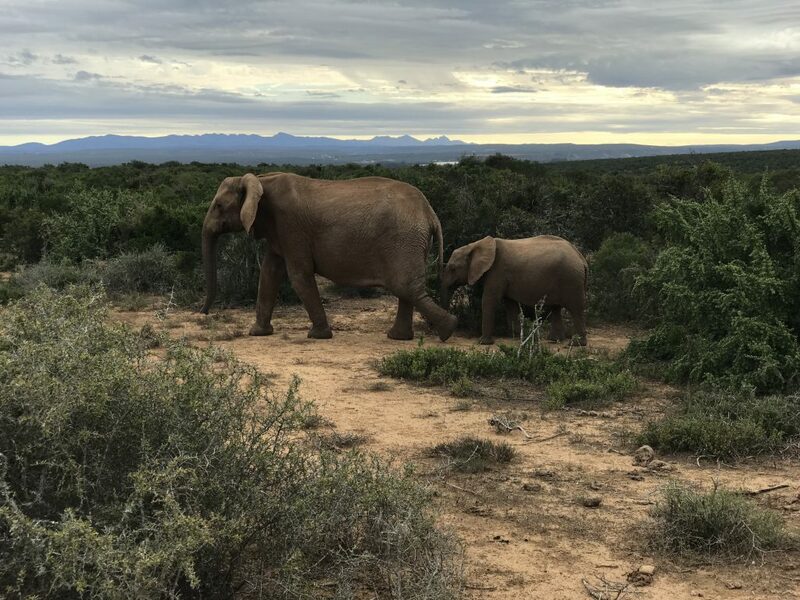 Tonight I’m staying in Addo Elephant National Park in South Africa. 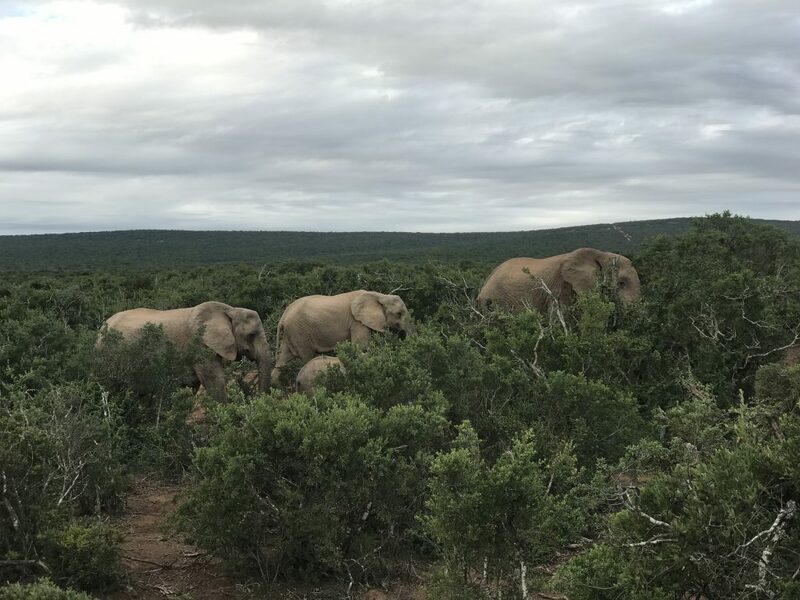 It’s home to the largest herd of elephants in the country, which now consists of roughly 700 members. That doesn’t sound like very many, but it’s a lot more than it used to. When the park was established in the fifties, there were only 11 of them in the area. 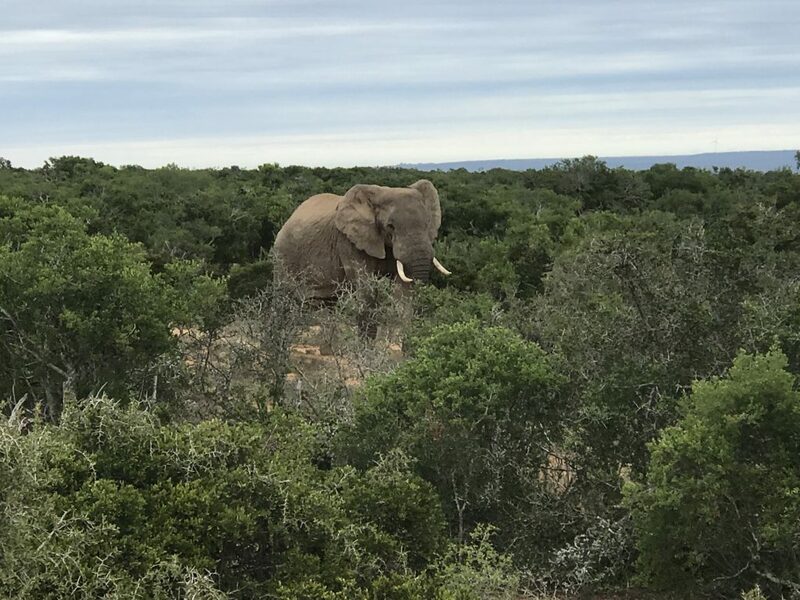 This is my first time seeing elephants in the wild. I’ve visited an elephant sanctuary here in South Africa a few years ago, and I have a fabulous photo of myself and one of them on my wall back at home. 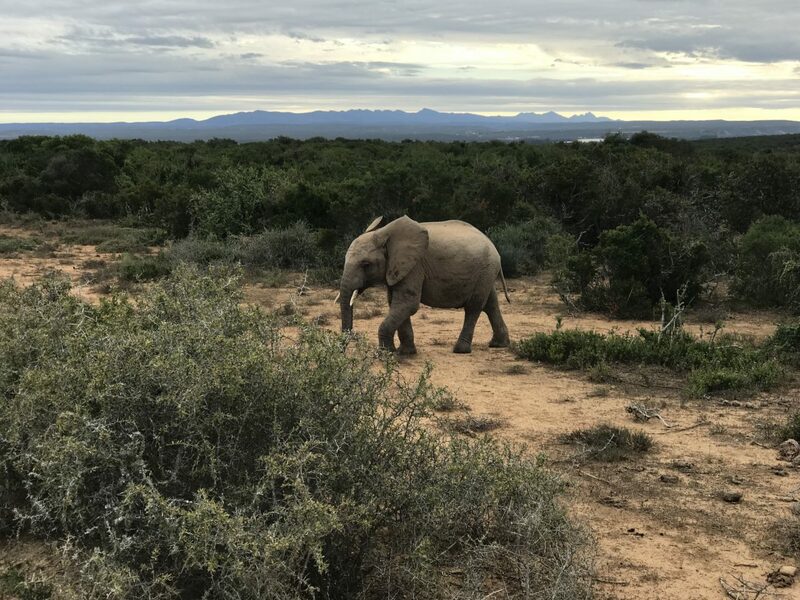 But it’s something entirely different to meet a domesticated elephant and see him do a couple tricks for food, than to watch these beautiful creatures roaming free, with no schedule to follow other than their own. Now I only got to watch them from the safety of our safari truck, along with a small crowd of tourists trying to get that perfect photo shot. 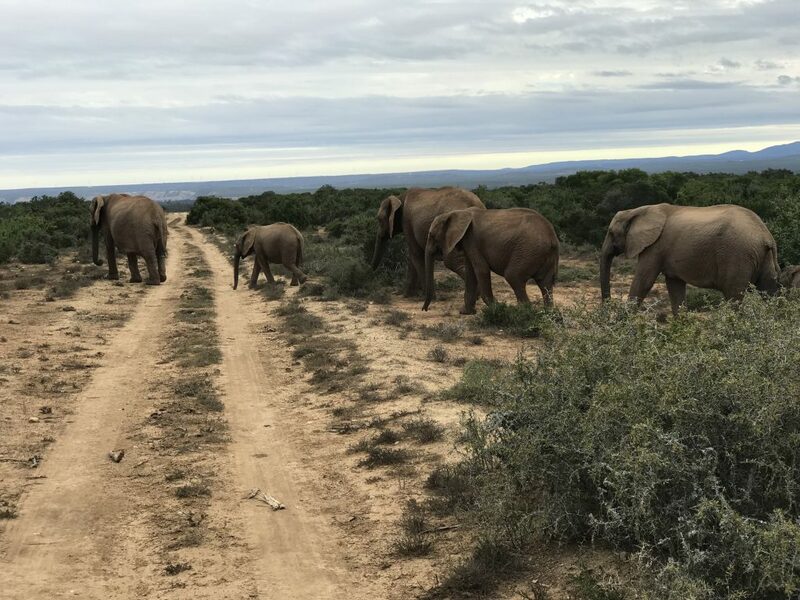 Still, even from that distance you could clearly see how they communicate with each other, how the baby walks with his trunk around his mom’s leg to feel safe, how the biggest ladies in pack put themselves on the front and back to protect the rest. You could see that even though they don’t have opposable thumbs, iPhones to take a selfie, or cars to drive around, there’s intelligence and wisdom behind these dark eyes. Since my previous encounter with elephants I got to learn more about their habits, and it completely blew my mind. There’s a fantastic article on this topic that will tear your heart apart, worth every single second of the two hours it takes to read. It describes how elephants can recognize friends they were separated from decades ago–or humans who did them harm, perform burial rituals to mourn their kin, communicate over very long distances through waves in the ground, or plot elaborate plans to escape. After reading it you can’t help but wonder, how is it like to be an elephant? Is there some kind of someone in there? Will we be ever able to communicate with them? I don’t expect to find answers to these questions on a two day safari trip. But it’s good to have them in mind while I’m a guest in their homeland.